Engineering is the foundation of outstanding mechanical systems. The challenge is to transform innovative ideas into practical and reliable systems. 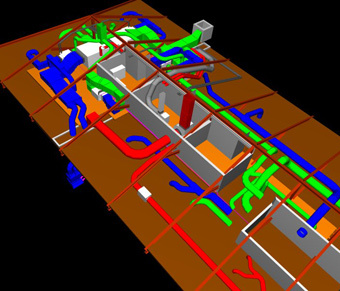 Anderson Systems leads with the right concepts to meet your needs, and brings the advantage of system fabrication and installation know-how to capitalize on the best means and methods for cost effective results. Whether your needs are large or small, simple or complex, our engineering staff will work with your design team and contractors to guarantee you are provided with the best design to meet your requirements and that it is complete, coordinated and code compliant. Creative solutions, cost effective designs, and reliable performance is our engineers’ commitment to you.